Education Minister Dr Dipu Moni on Sunday asked the authorities of private universities to abide by the government rules and regulations to promote higher education in the country. The education minister made this call while delivering her speech at the first convocation of East Delta University (EDU) in Chattogram. “Laws are there to run private universities in the country. 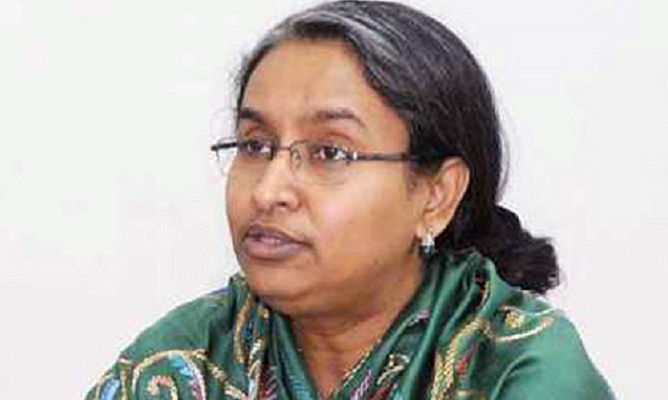 The university authorities have to seize on these laws as ways to run the private universities,” Dipu Moni told. She said private universities are contributing immensely to the promotion of higher education in the country and laid stress on focusing on standard education. In the last budget, she said, the government proposed raising allocation for the education sector alongside offering special facilities for meritorious teachers to improve quality of education. The teachers are the architects for improving standard of education, the education minister said, adding the government is recruiting brilliant students in the teaching profession. The education minister said over 35 crore text books were distributed this year for pre-primary, primary, secondary, ibtedayi, dakhil and vocational students across the country. She urged the new graduates to dedicate themselves to build a hunger- and poverty-free “Sonar Bangla” as dreamt by Father of the Nation Bangabandhu Sheikh Mujibur Rahman. “You’re the future of the nation. The nation will prosper under your leadership. You have to lead an ideal life,” she told the students. Over 600 graduates took part in the convocation. Of them, 120 received gold medals from the education minister. Abdul Mannan, Chairman of University Grand Commission, Abdullah Al Noman, Chairman of board of trustees of East Delta University (EDU), its vice chairman Saeed Al Noman, EDU Vice Chancellor M Sekandor Khan, Editor of the Daily Kaler Kantho Imdadul Hoque Milon, vice-chancellors of different private universities, and syndicate and senate members, among others, were present on the occasion.